Fabric is sold in half metre increments, anything above 0.5 metres will be sent as a continuous length. For example, if you require 1.5 metres you’ll need to add 3 to your cart. Add matching thread for £1.95? Fun, versatile and fully-lined, Camden is a joy to sew and wear! 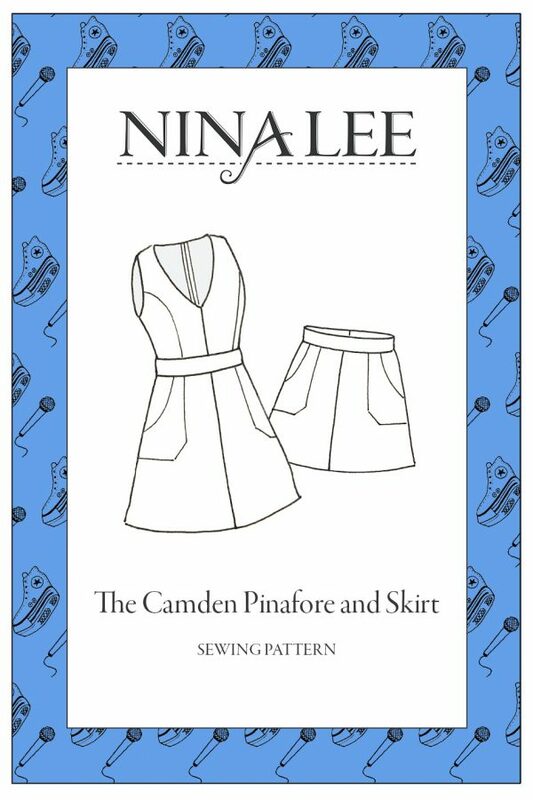 Choose between the full pinafore or the skirt option (with two lengths); both are lined and feature stylish patch pockets! 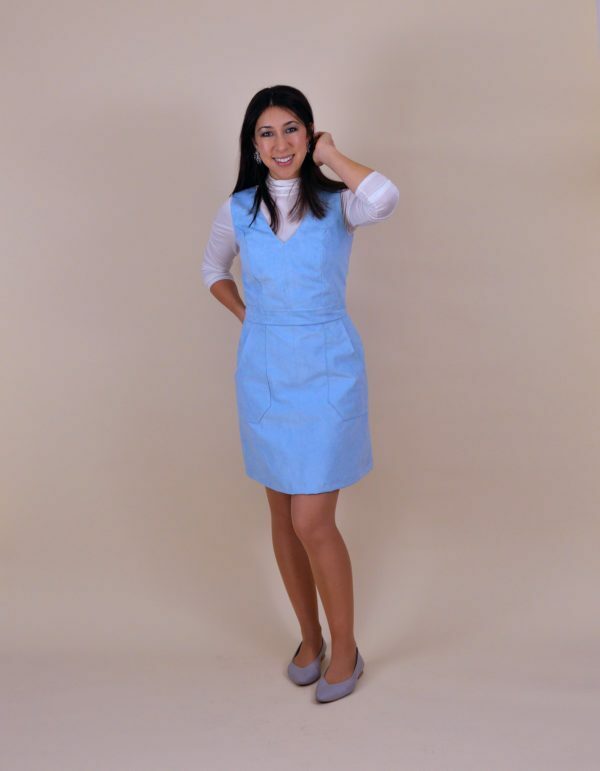 The pinafore has a deep V-neckline and princess seams that pleasingly flow into the lines of the skirt. The close-fitting bodice and waistband make the Camden pinafore perfect for layering over finer tops, or wearing on its own in the summer! 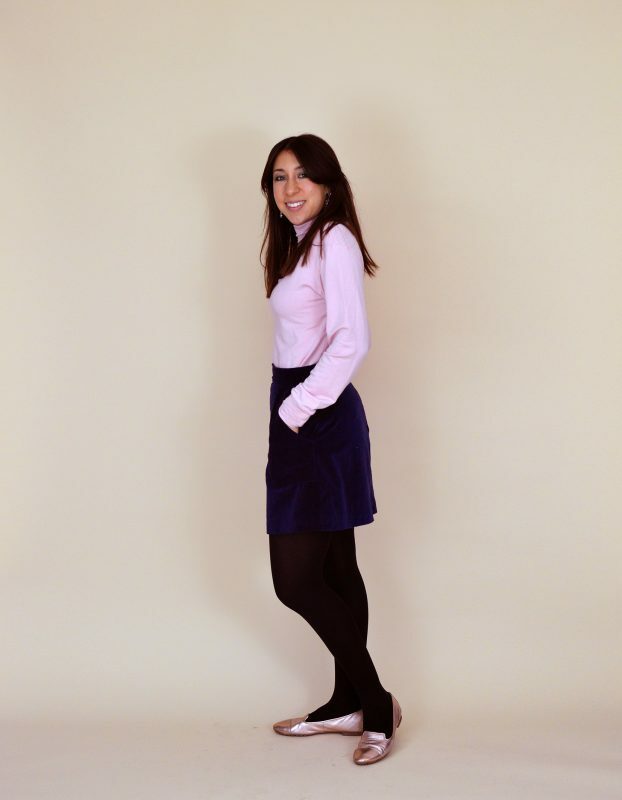 The simple skirt on the other hand is there for you all year round, ready to be paired with chunky knits and woolly tights through to camis and espadrilles! We try to ensure the colours in our photos are as accurate as possible, but due to variations in monitor colours we cannot guarantee an exact match. If you’re unsure we’d recommend using our swatch service.